Trident Winds Inc. is a project development company pursuing floating offshore wind opportunities in North America and other markets. The Trident Winds team brings extensive experience in permitting, technology, utilities and energy markets to the development of floating offshore wind. Our initial focus is the California energy market with its policy-driven demand for renewable energy post 2020. The renewables sector in North America is transitioning to a more challenging phase requiring creative and forward-looking development teams deploying proven technologies in advanced marine systems to harvest untapped renewable energy sources. As the end of this decade approaches and policy-makers realize that exclusively land-based wind and solar projects will be challenged to obtain permits and transmission rights, new renewable resources will be required to meet California’s aggressive carbon reduction and renewable portfolio standard goals. Read more about the Morro Bay Offshore project on the Projects page. 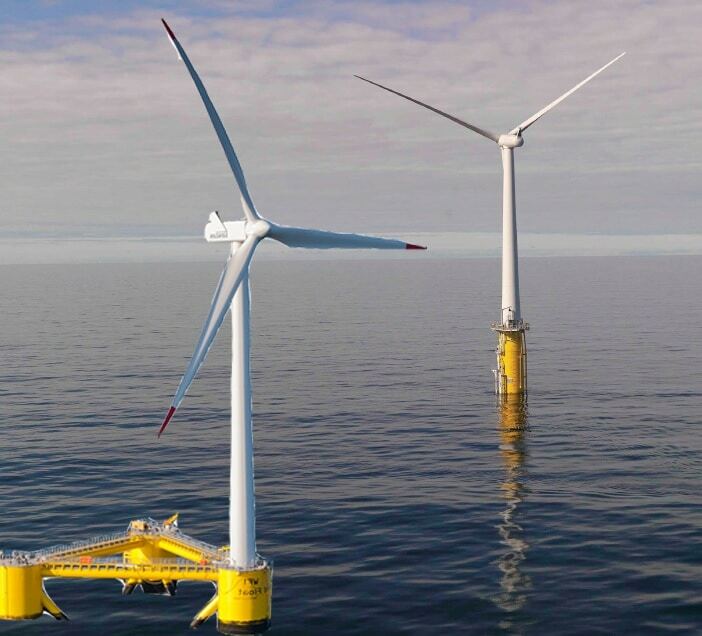 The Morro Bay Offshore (MBO) Project will consist of approximately 100 floating offshore wind systems (FOWS) that will harvest the vast offshore wind resources for the benefit of the California electric consumers.